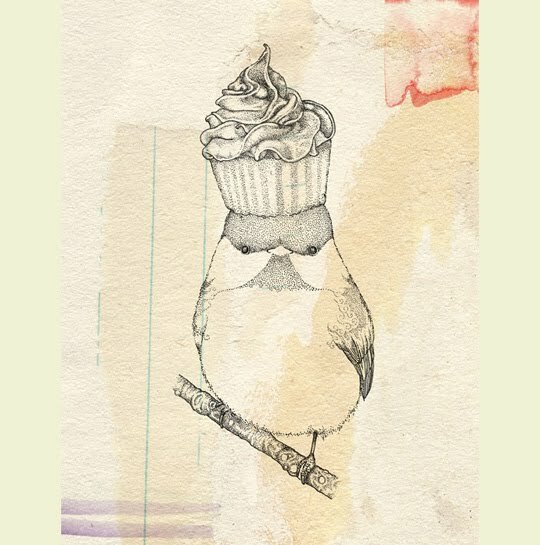 Kate Wilson's of Little Doodles series of The Little Birds are whimsical and humorous. I like the watercolor paper background, notebook blue lines, watercolor splashes of paint, the hand sketched bird and the bright colors next with muted colors. I appreciate all the little details and subtle textures.